Hello again and thanks for coming back for another episode of Woman Crush Wednesday. The best day of the week in my book! Because another fabulous female foodie gets the love and we get a new recipe! I am so excited to share today’s honoree with you. 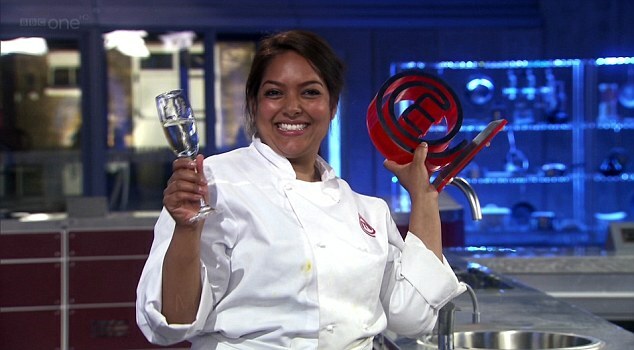 Hubby and I watched Shelina Permalloo win Master Chef U.K. in 2012. We were still living in Dublin back then. Who knew we’d be living in the U.K. now ourselves! Hopefully one day soon I can go to her restaurant Lakaz Maman in Southhampton for a Foodie Fieldtrip Friday! 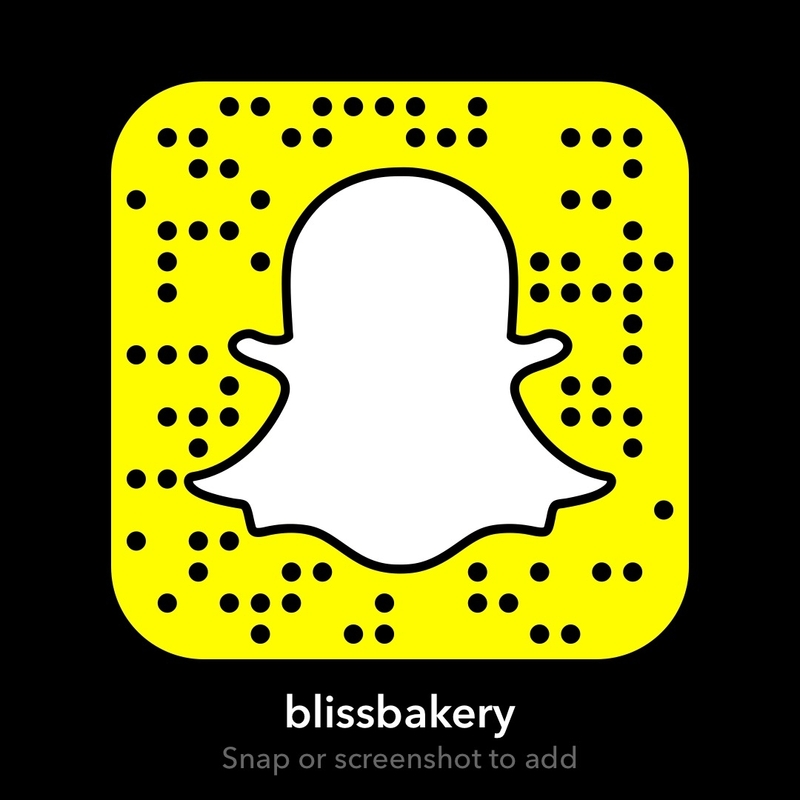 But first, I am going to recreate one of Shelina’s recipes on my Snapchat (username blissbakery) so come watch, or just continue reading for pics and more about this gorgeous gourmet gal! One of the great things about this weekly series is the opportunity to travel the world with my WCW chefs. Today is episode #91 which means I have had the pleasure of tasting food from all corners of the globe. But today is the first time I have had Mauritian inspired food. Shelina’s parents emigrated to the U.K. from Mauritius, which is off the southeastern coast of the African continent. 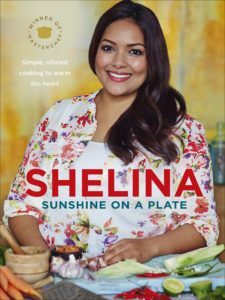 Her two cookbooks incorporate the flavors of this Indian Ocean island nation and even the titles are an ode to the warm weather paradise. 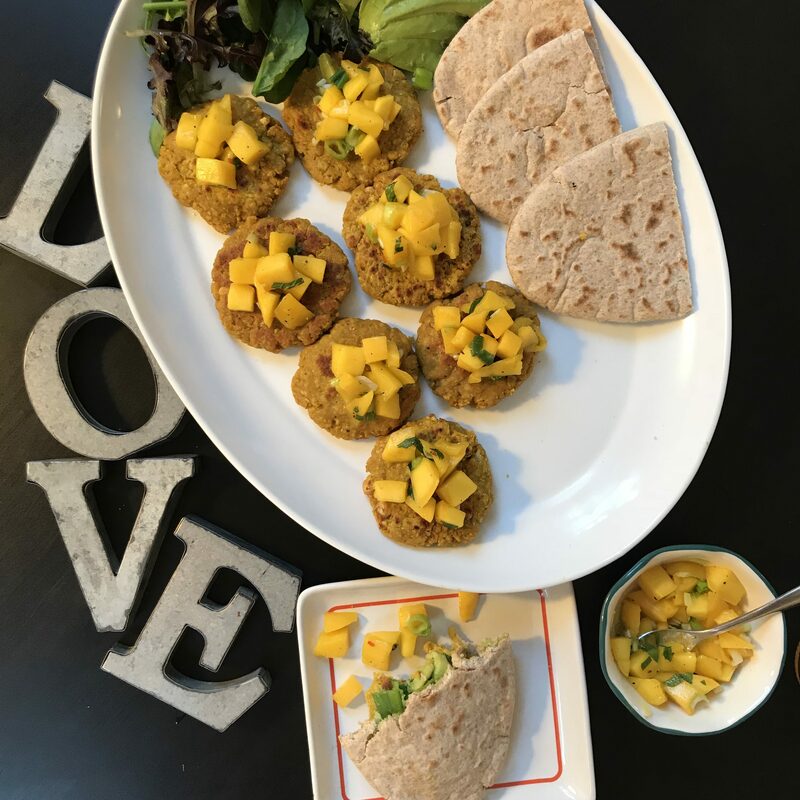 So I am going to bring some of that sunshine into the house and get started on Shelina’s Spicy Chickpea Burgers with Mango Salsa! Drain the chickpeas and tip them into a bowl. Crack in the eggs. Add the curry powder and breadcrumbs, season with salt and pepper, then mash together using a potato masher or fork until you have a rough paste. Using your hands, shape the mixture into 8 small burger patties. 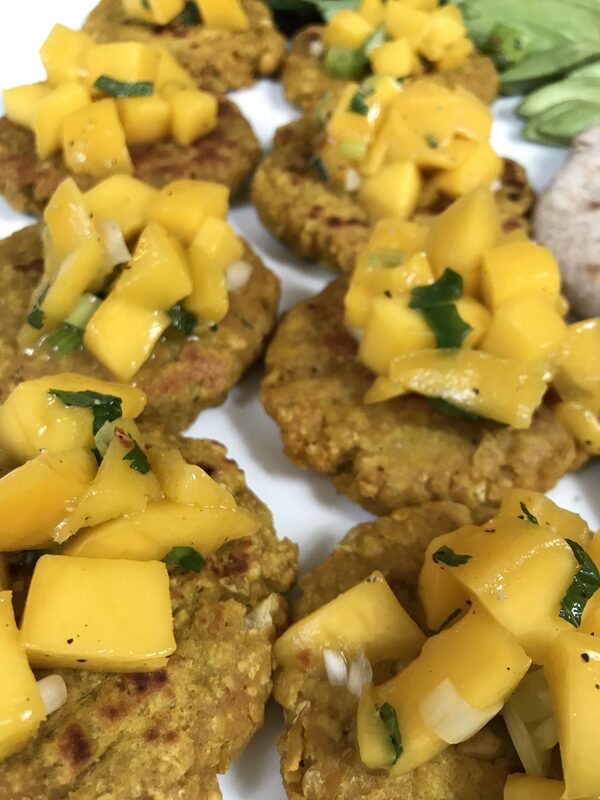 Heat the oil in a large frying pan over a medium heat and cook the patties for 2-3 minutes on each side. Remove from the pan and drain on a plate lined with kitchen paper. 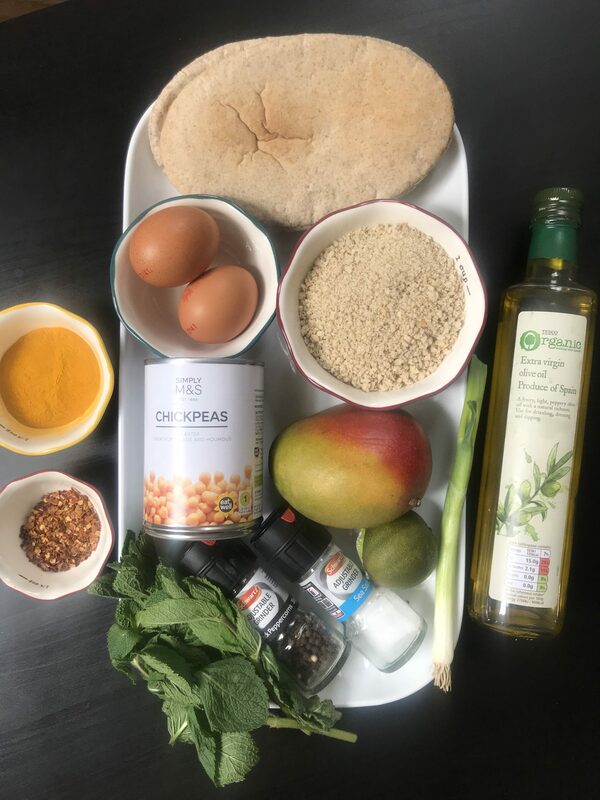 In the meantime, stone, peel and dice the mango and put it into a small mixing bowl. Thinly slice the spring onion and add it to the bowl. Add the juice of the lime, the dried mint and chilli flakes and season with salt and pepper. Preheat the grill to high. Slice the pittas in half and lightly toast them. 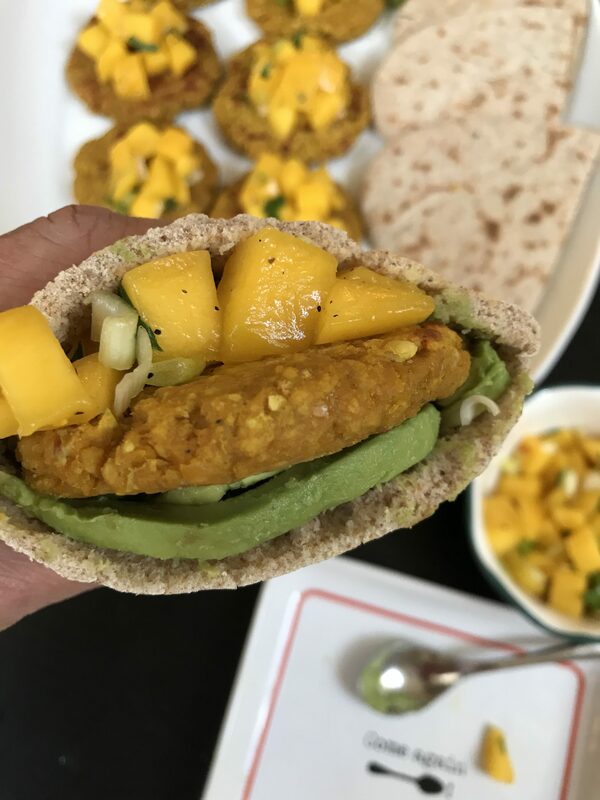 Serve the burgers with the pittas and salsa. Wow these are literally a burst of fresh flavors and textures in one bite! 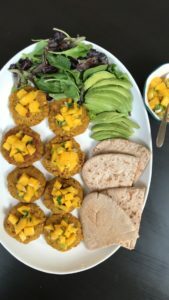 They are super quick and easy to make and a great do ahead recipe too if you are a fan of meal planning. I love the hint of curry in the patties and the chickpeas really make you feel filled up without missing the meat of a beef burger. And the mango salsa, oh my goodness. Of course mango is Shelina’s signature ingredient! It is super bright and citrusy with the lime juice. I didn’t have dried mint so I used fresh and it was perfect. I also had a ripe avocado that needed to be eaten so I sliced that up to go along with the burgers. I would definitely recommend this dish even to non vegetarians like myself. I can hardly wait to make more of Shelina’s recipes! 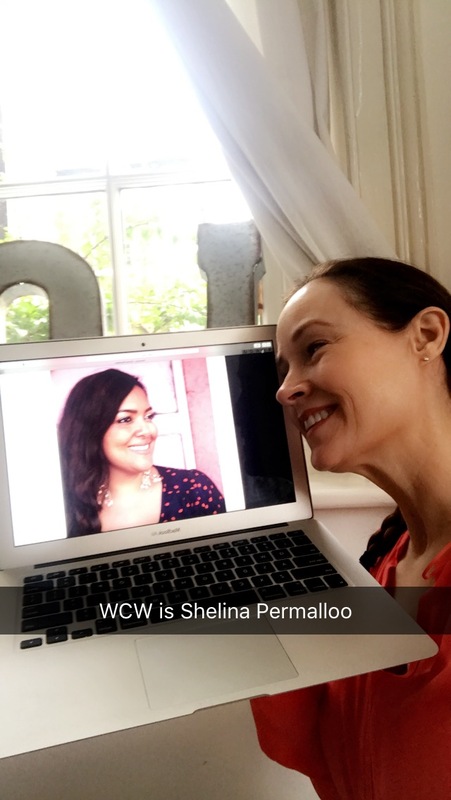 Thank you Shelina for your inspiration! 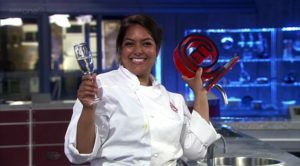 Leaving your corporate job to compete and then win Master Chef encourages all of us to follow our dreams! And now to have your own restaurant is amazing! Wishing you continued success and looking forward to cookbook number #3! 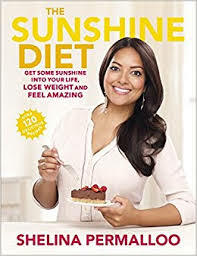 Or as I have already nicknamed it, “Sunshine on my bookshelf!” You’re an absolute super star!